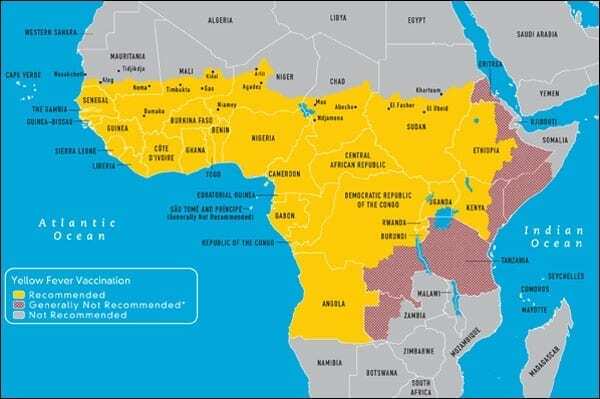 More than 450 people have been infected by yellow fever, and killed 178, in the first epidemic of the disease to hit Angola in 30 years. The outbreak, which was first reported in the capital city Luanda in December 2015, has since spread to 6 of the country’s 18 provinces, according to the World Health Organization (WHO). Yellow fever virus is transmitted by infected mosquitoes, the most common species being Aedes aegypti. Symptoms include fever, headache, muscle pain, nausea, vomiting, and fatigue. A small percentage of infected people experience a second more severe phase of illness which includes high fever, jaundice and internal bleeding. At least half of severely affected patients who don’t receive treatment die within 10 to 14 days. While concerted efforts are being made to stop the outbreak, a global yellow fever vaccine shortage adds to the challenge. As of 24 March 2016, WHO and partners have vaccinated 5.7 million people in Luanda against yellow fever using vaccines from the International Coordination Group emergency stockpile; however, this emergency stockpile is now depleted and an additional1.5 million doses are needed to vaccinate the population at risk in Luanda province alone. With the spread of the outbreak to other provinces in Angola and increasing numbers of imported cases reported by countries in Africa, WHO is in discussion with manufacturers and partners to divert shipments of vaccines for national routine immunization programs until the emergency stockpile is replenished.